to step into his place. Of course, this was all part of Dumbledore’s larger plan, but Harry had no way of knowing that. Snape’s relationship with Harry was often fraught, and though Snape ultimately worked hard to protect Harry in Lily's memory, the movie allows Harry to confront Snape in a way the book doesn’t. 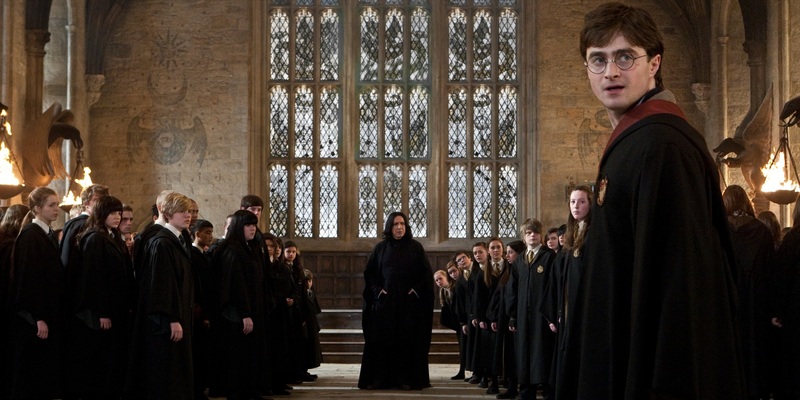 In the book, Harry spends much of the final battle sneaking around under an invisibility cloak. In the film, he gets to vent a little, and all of us can appreciate how important that is. Snape and Harry’s relationship was complicated, sure, but in this moment, Harry finally got to do some good old fashion yelling.